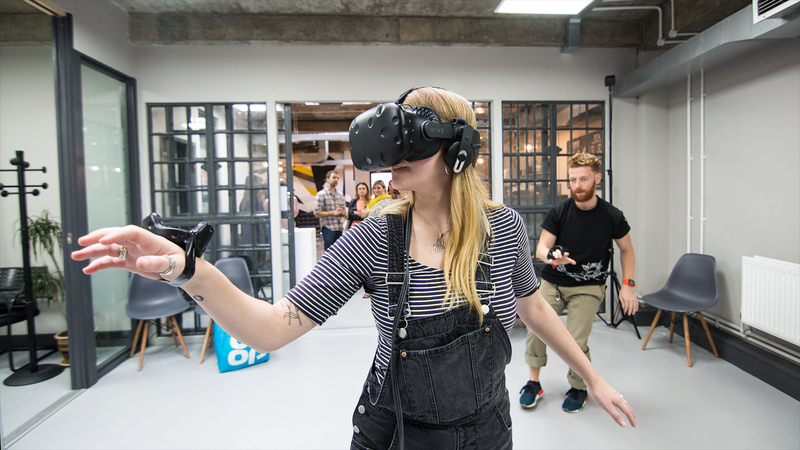 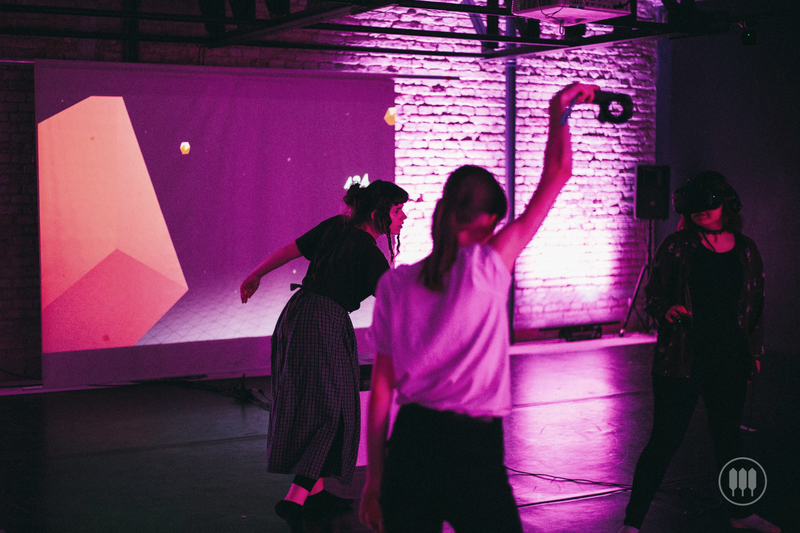 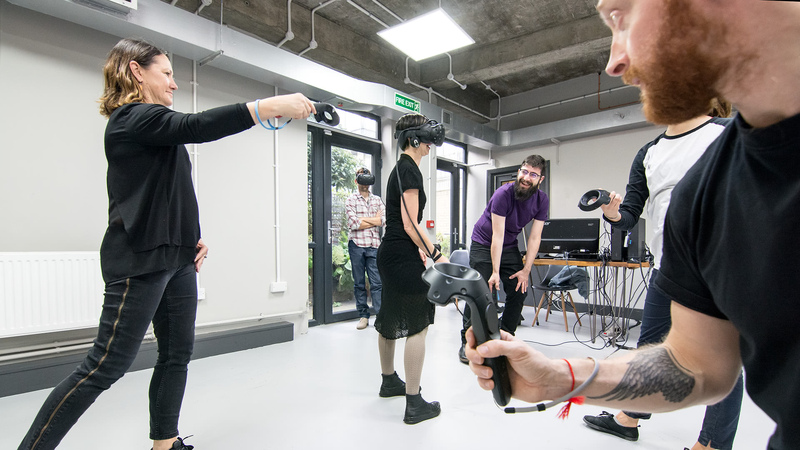 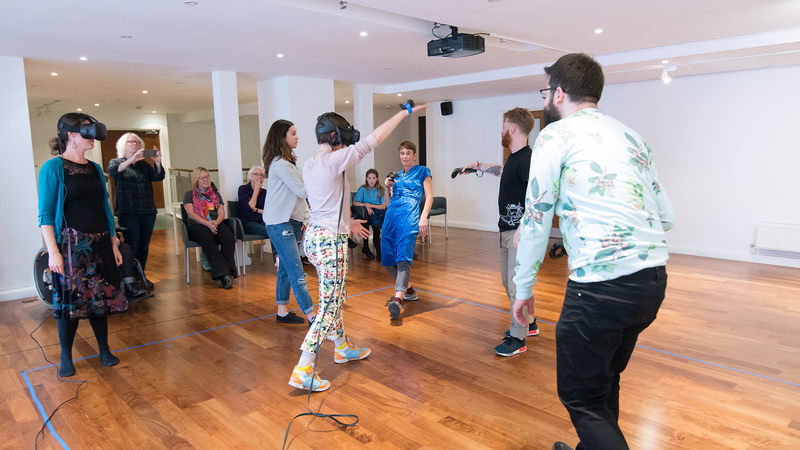 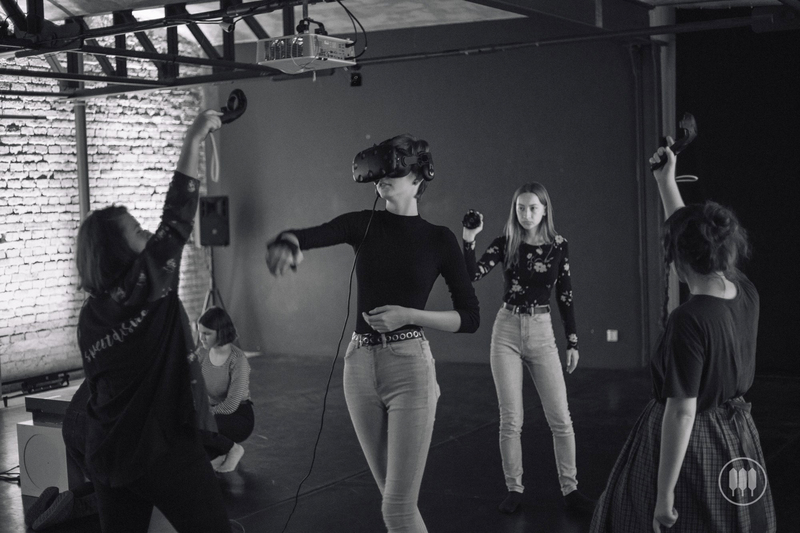 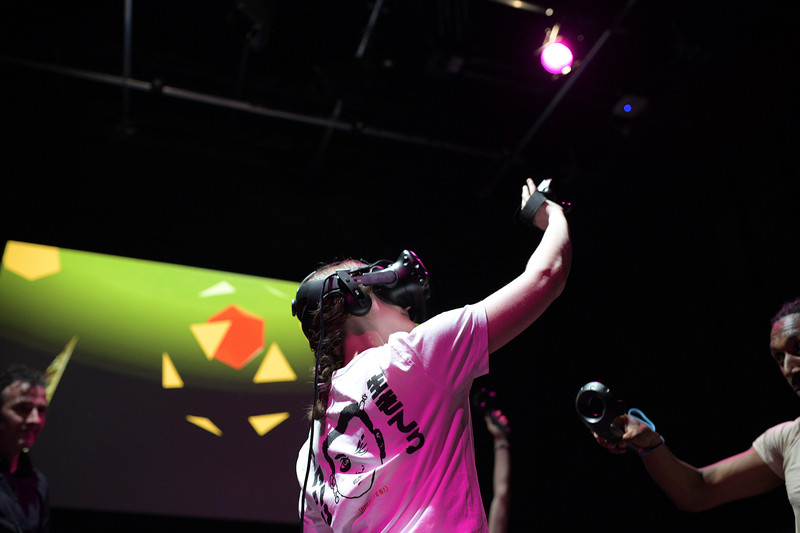 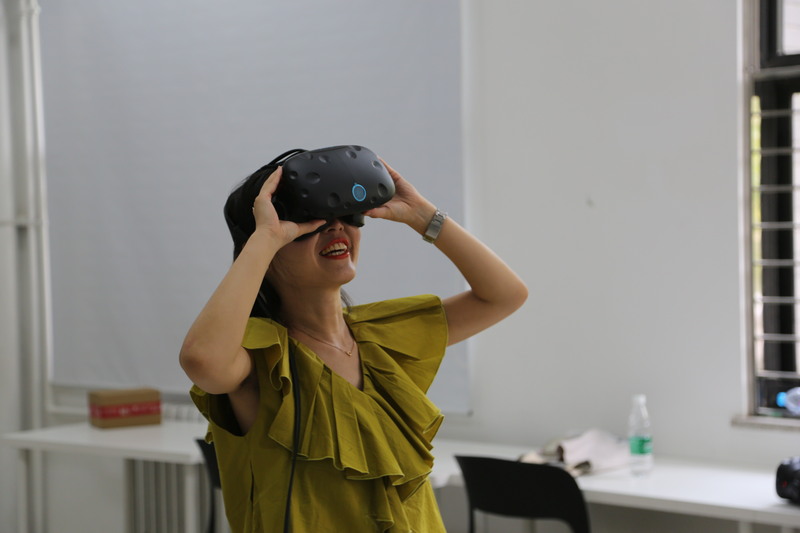 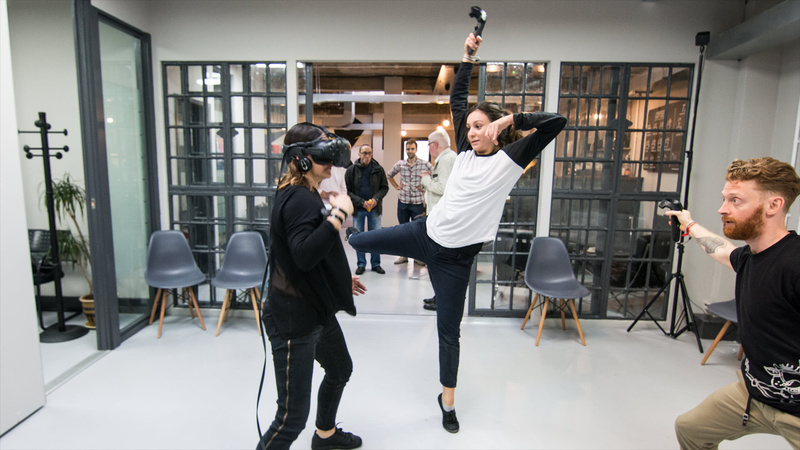 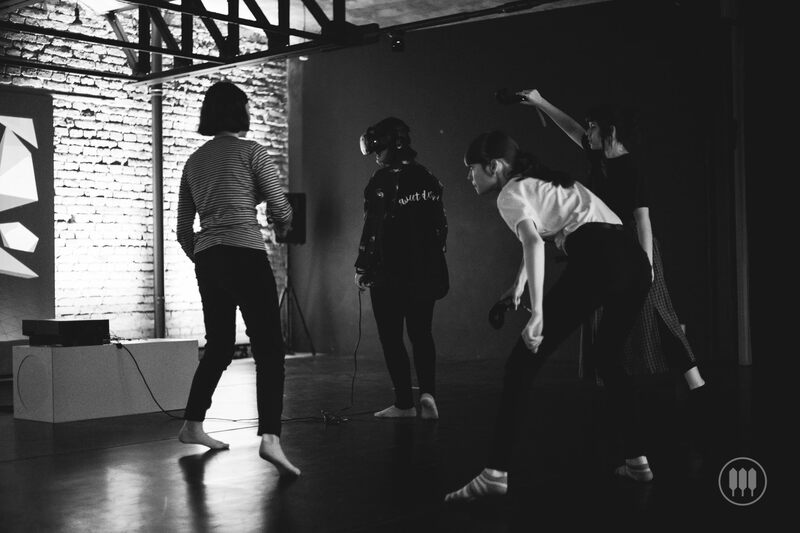 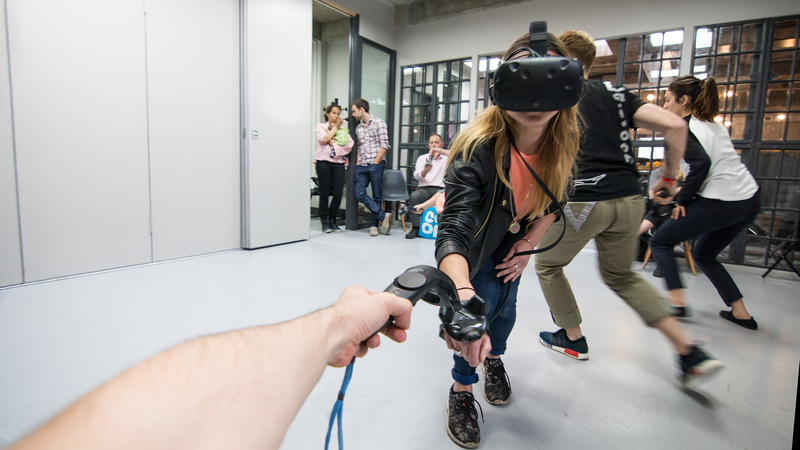 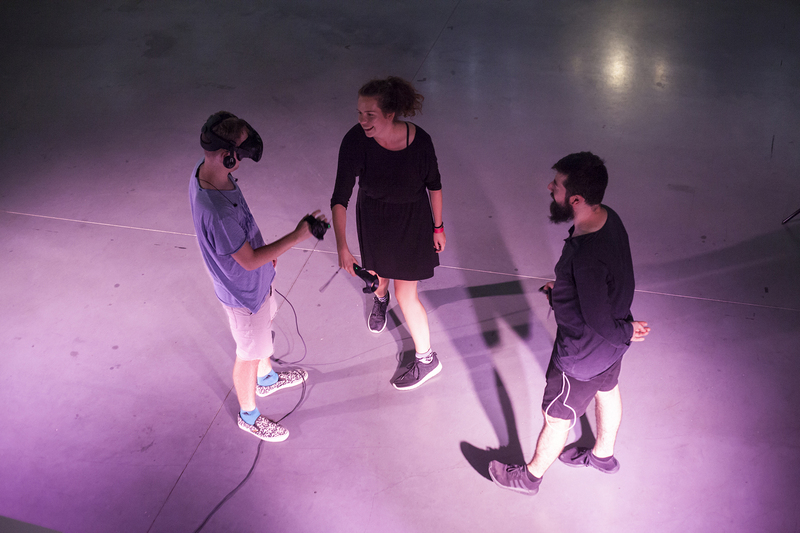 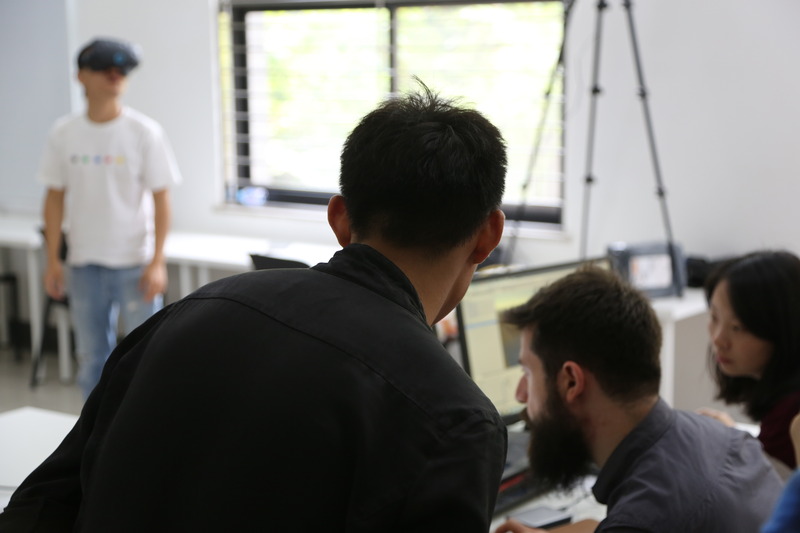 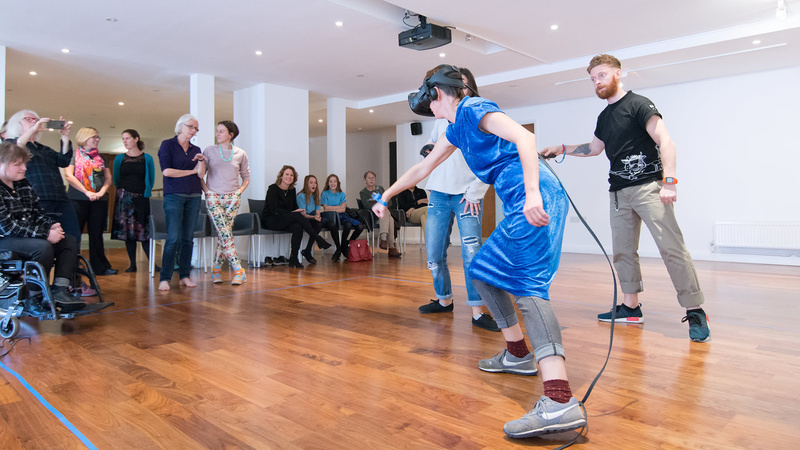 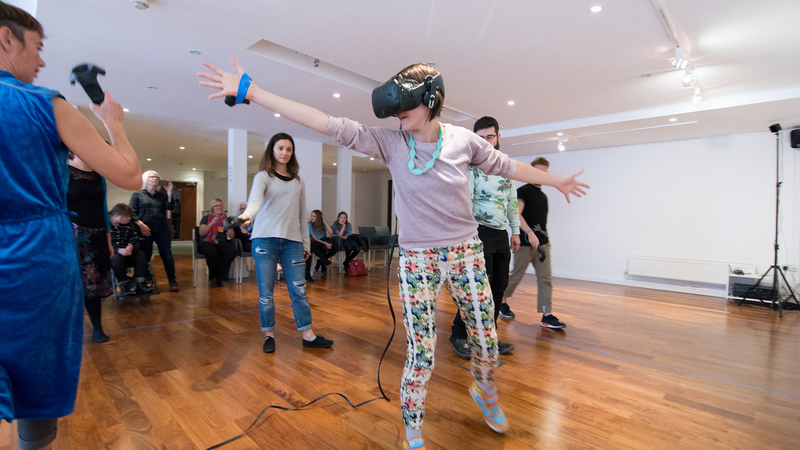 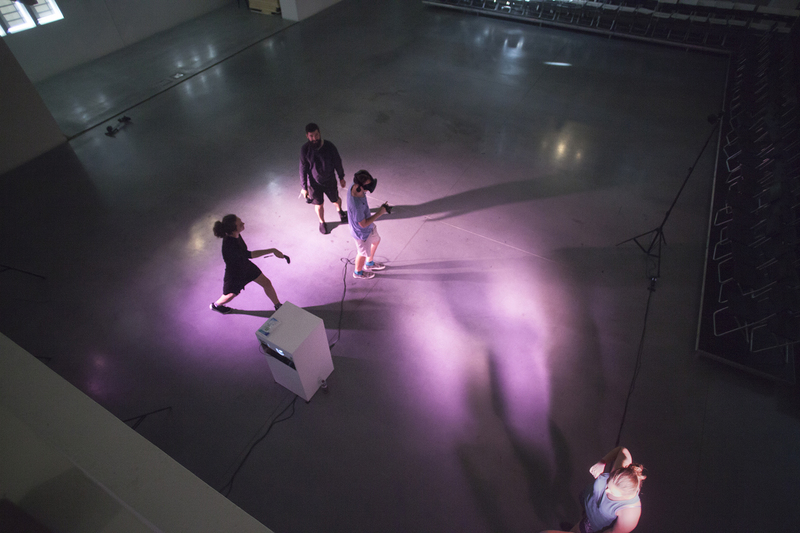 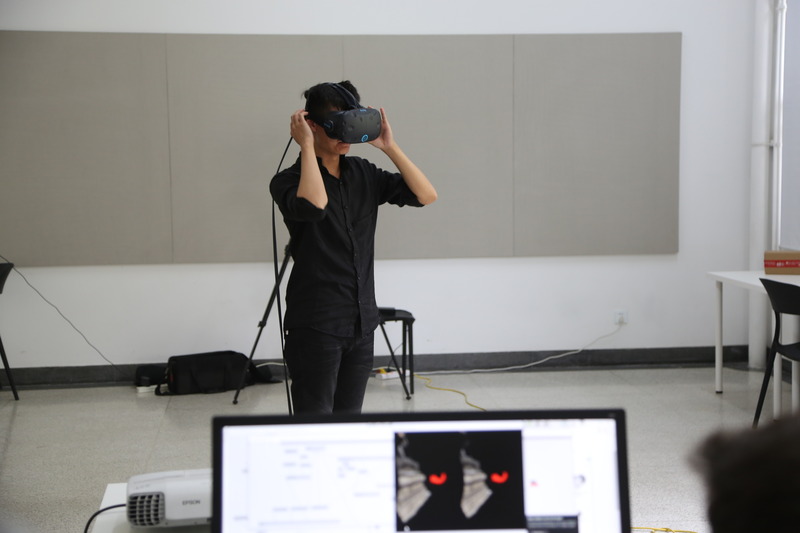 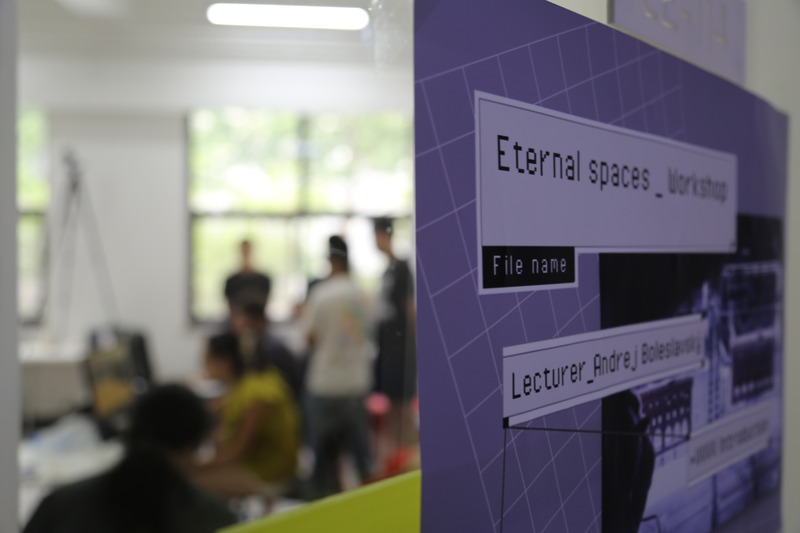 Camouflage is an immersive art project, an experimental mixed reality game for multiple players which playfully explores disparity of perception within the real and the digital space. 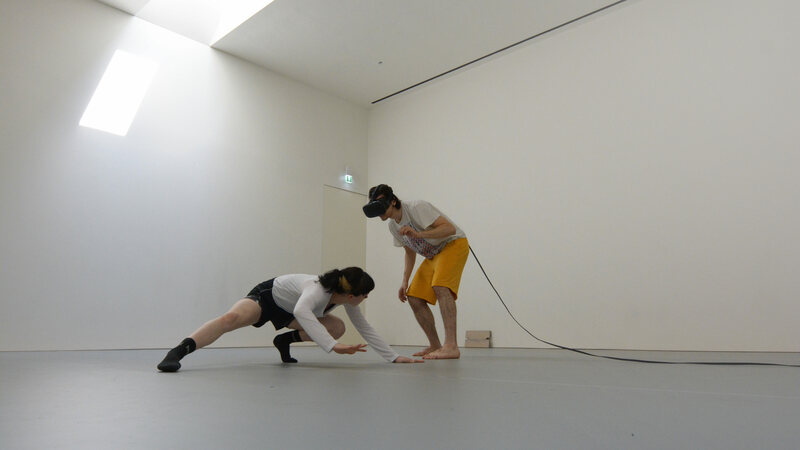 The project is inspired by an old game known to many ancient cultures where a blindfolded player is trying to find its opponents. 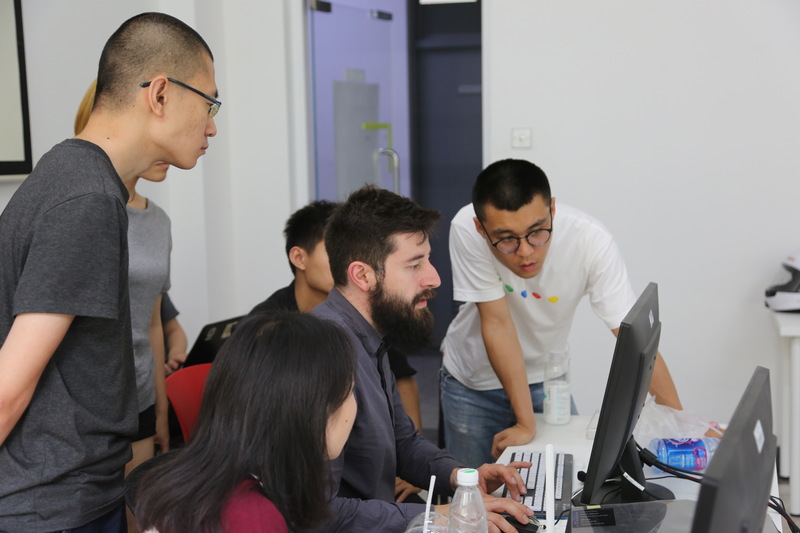 When successful, the roles switch. 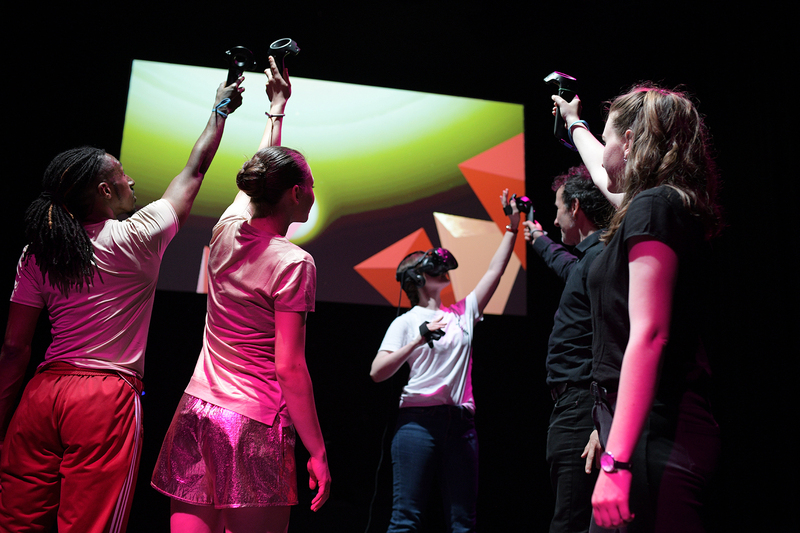 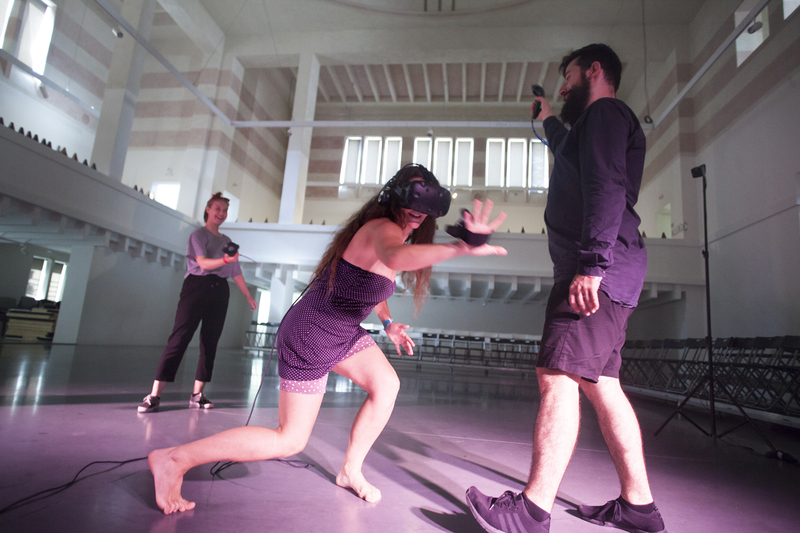 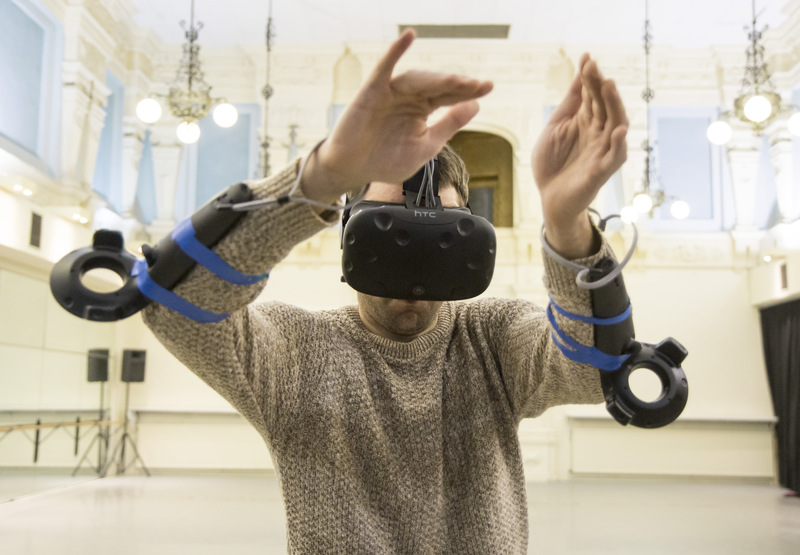 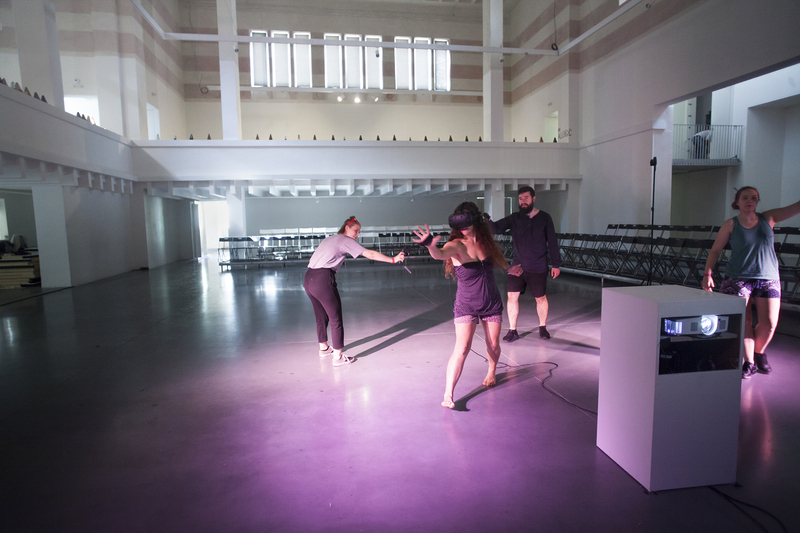 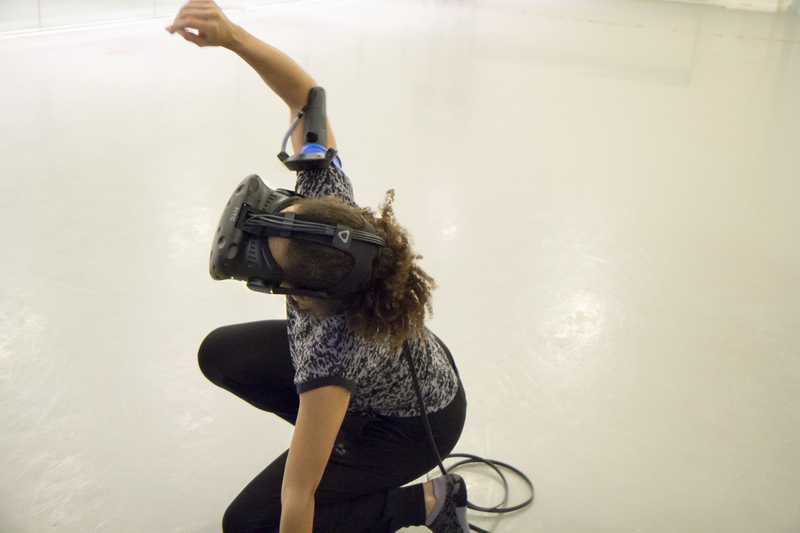 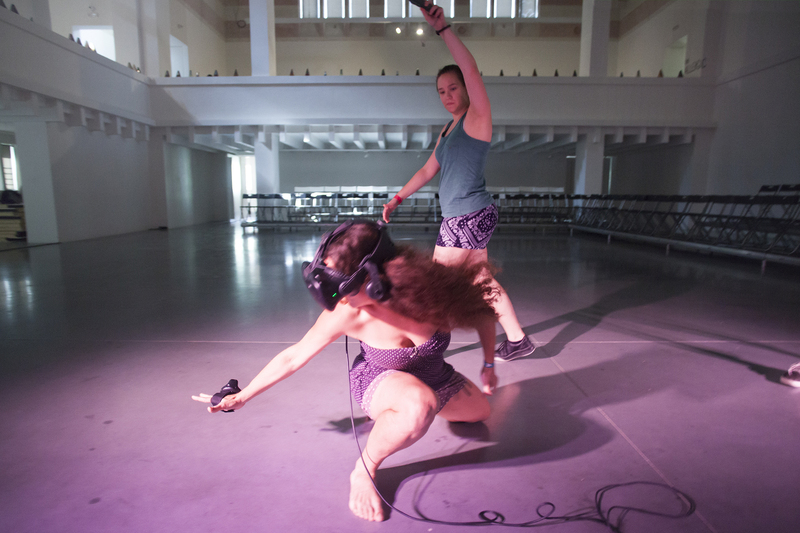 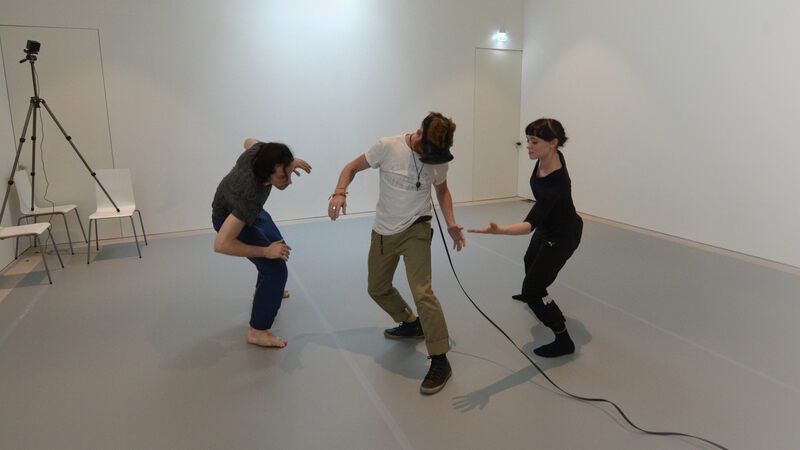 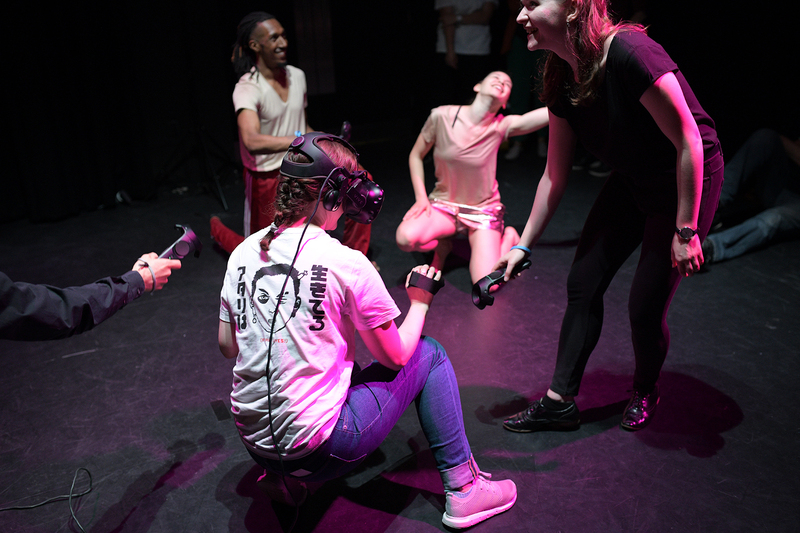 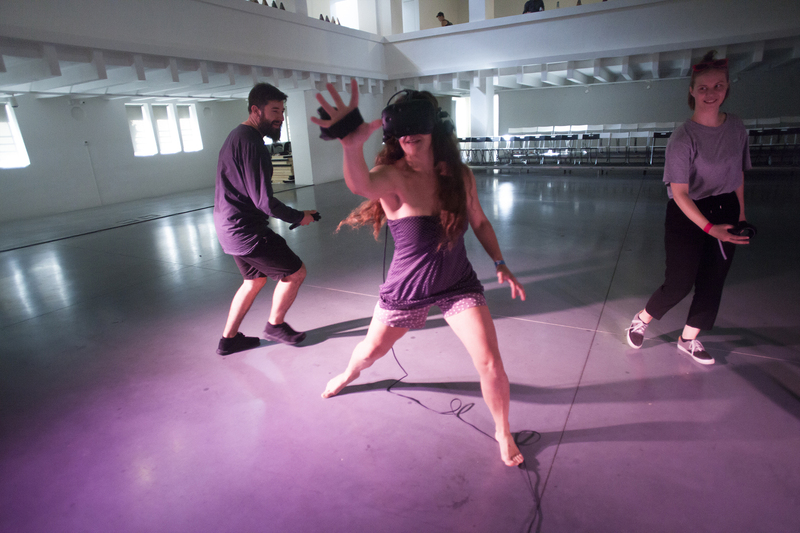 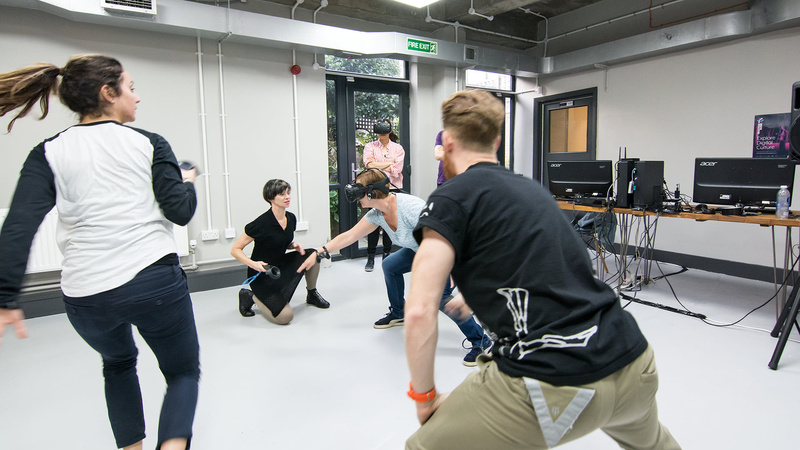 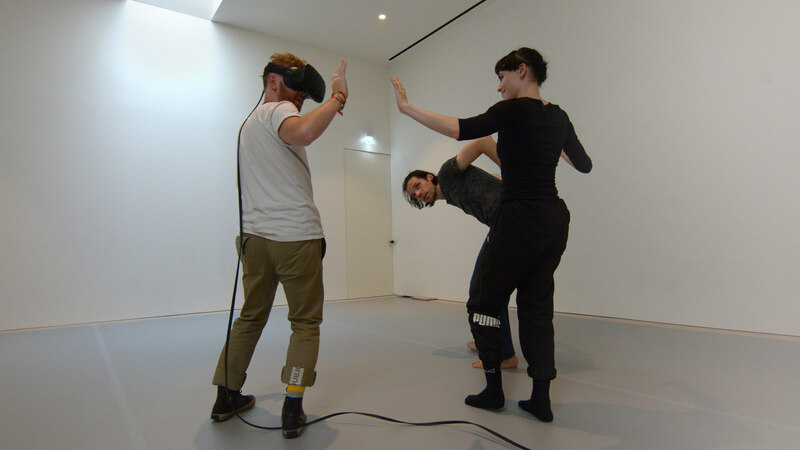 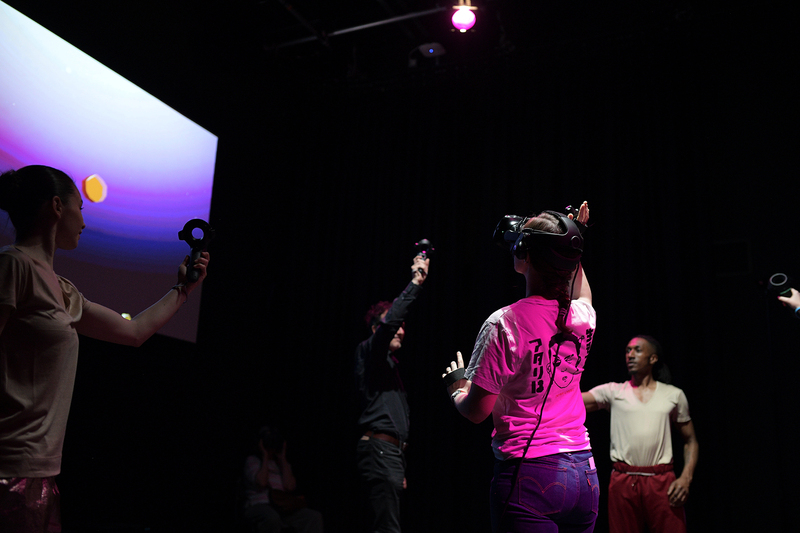 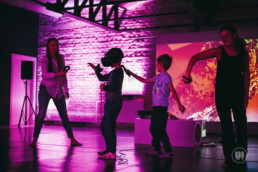 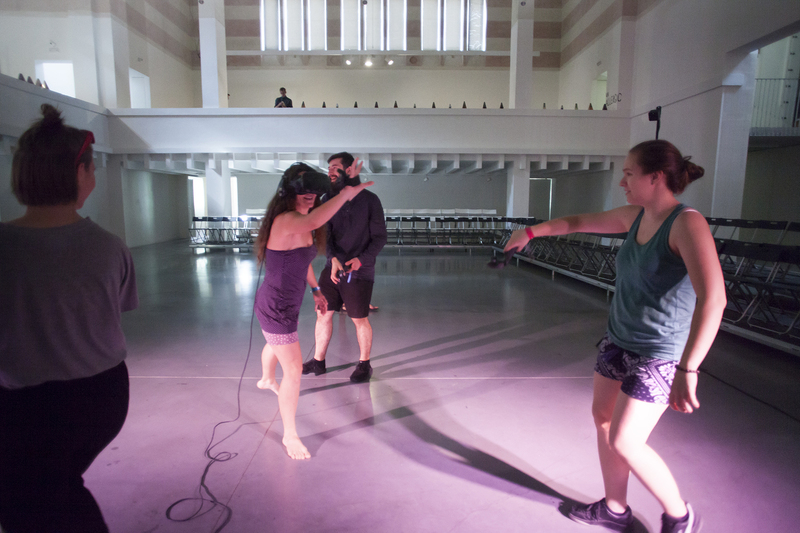 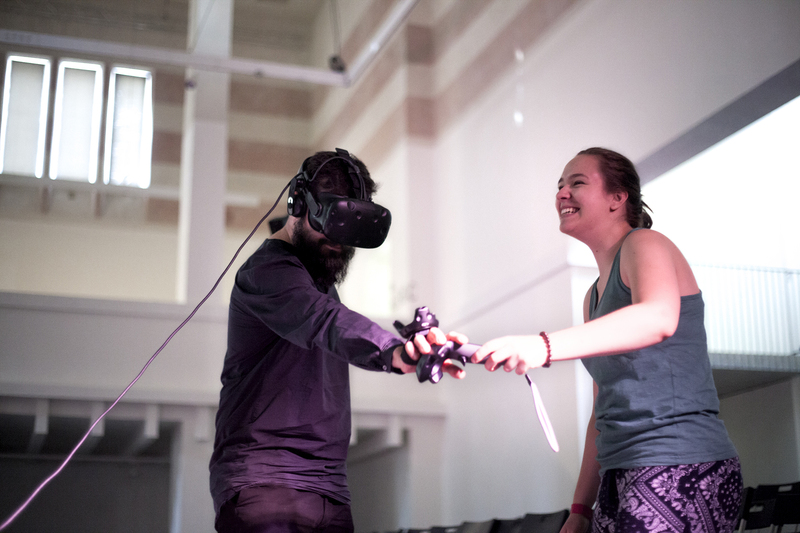 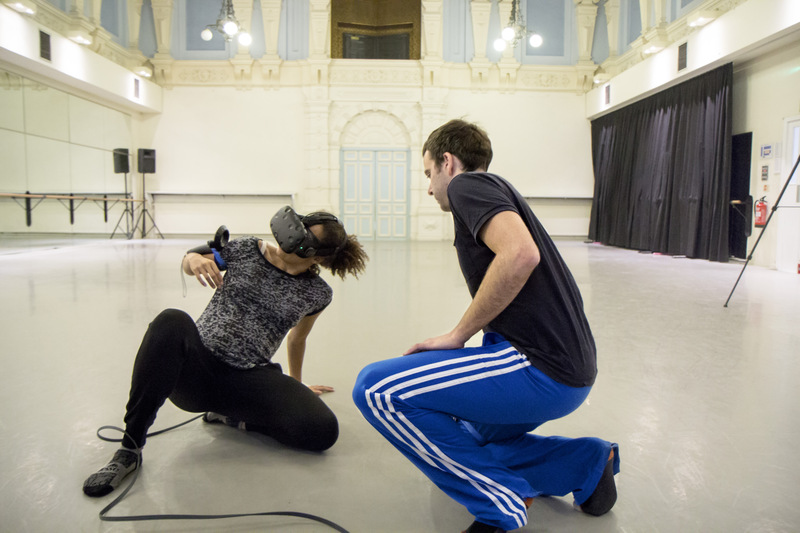 In Camouflage, two audience members are blindfolded by the VR headsets through which they can only see an abstract representation of their surroundings, and simulated bodies in motion. 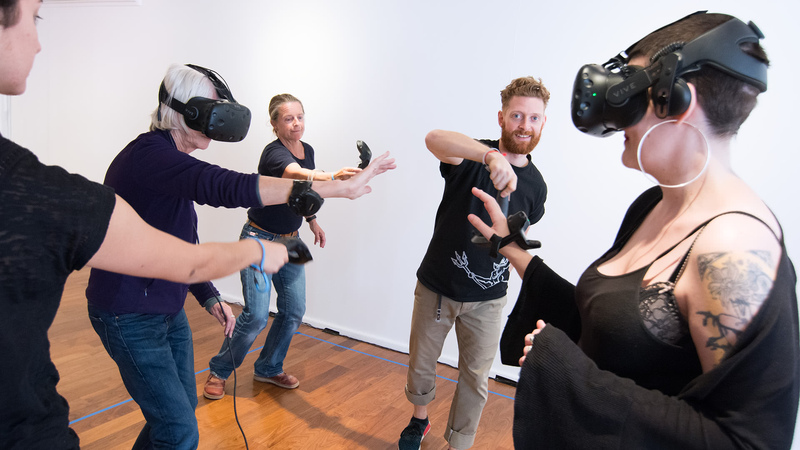 The goal of the players inside the virtual reality experience is to identify which of the abstracts objects actually belong to a real person. 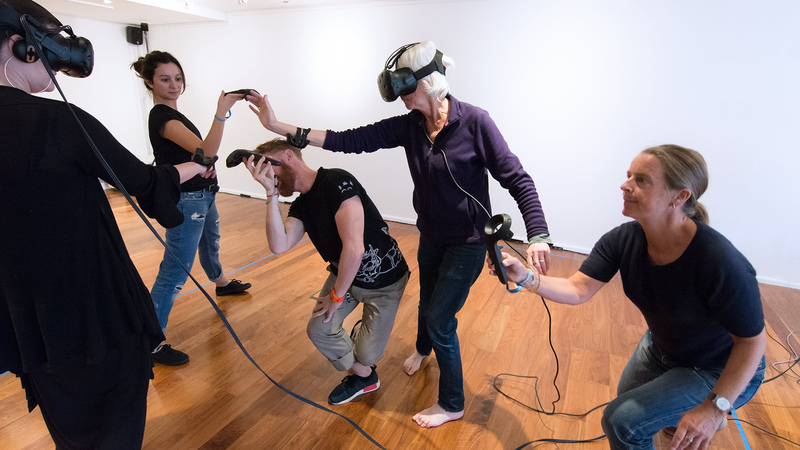 Outside the VR experience, there are four other people who have sensors attached to their bodies and move in the given space, trying to stay out of sight as long as possible: camouflage. 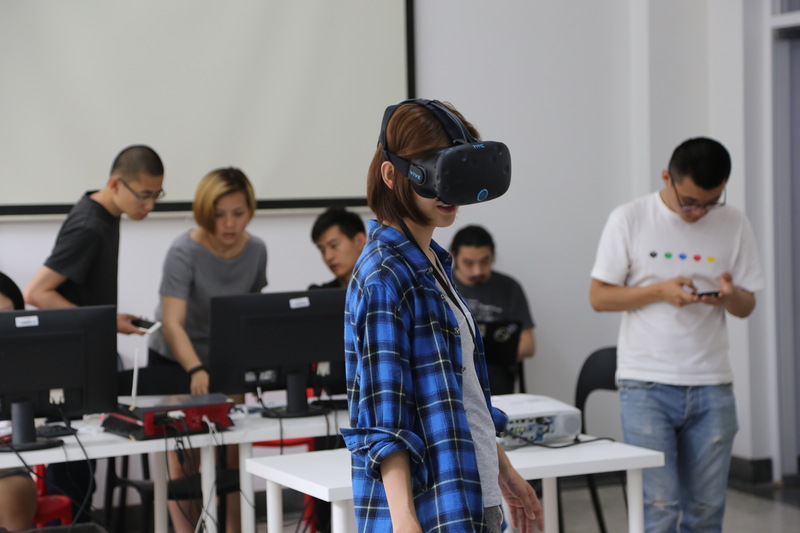 The goal of the players outside of the virtual world is to stay unnoticed for as long as possible. 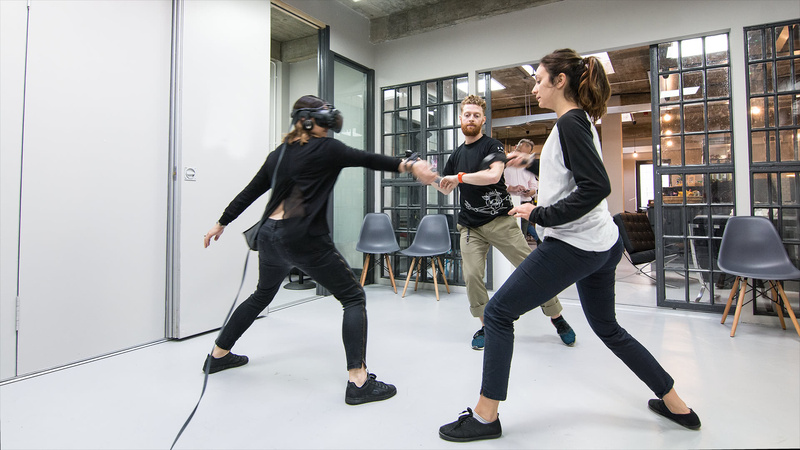 To do this, they need to mimic the movement quality of the animation and blend with the environment. 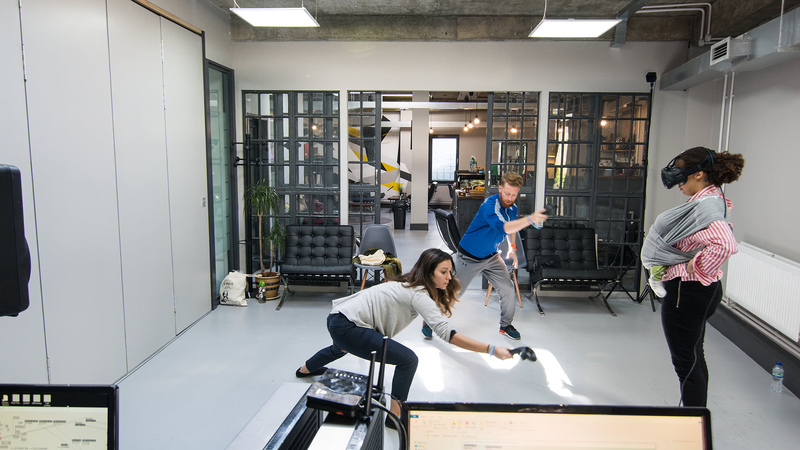 To make the experience even more engaging, we will create complex, automated rules, scoring system, as well as a system of handicaps that will change over the course of the game. 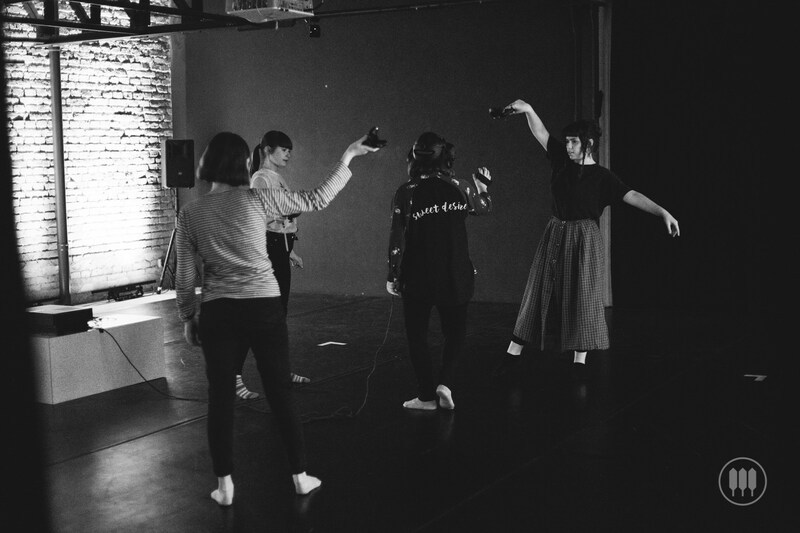 Camouflage is a Renaud Wiser Dance Company commission funded by Arts Council England, South East Dance and The Chronus Arts Centre Shanghai. 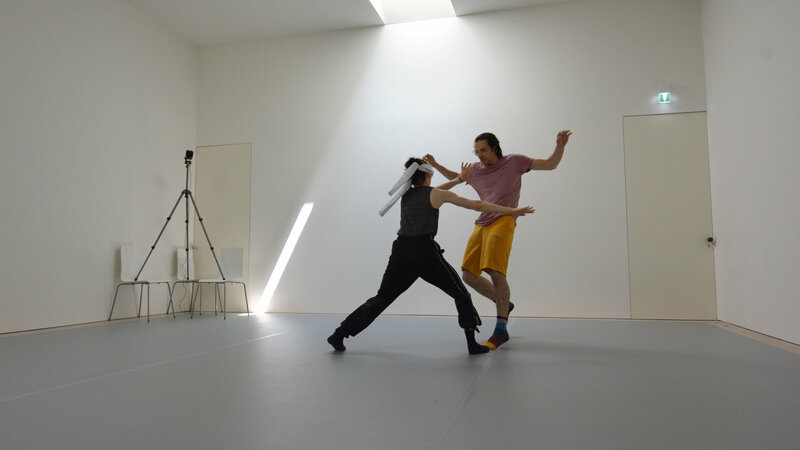 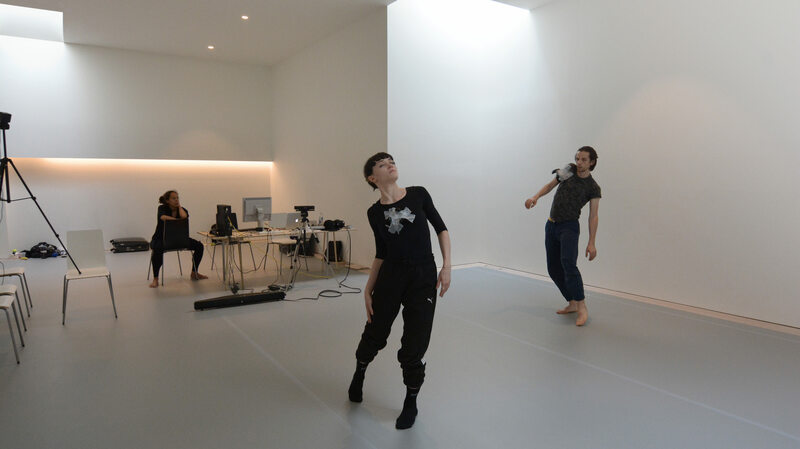 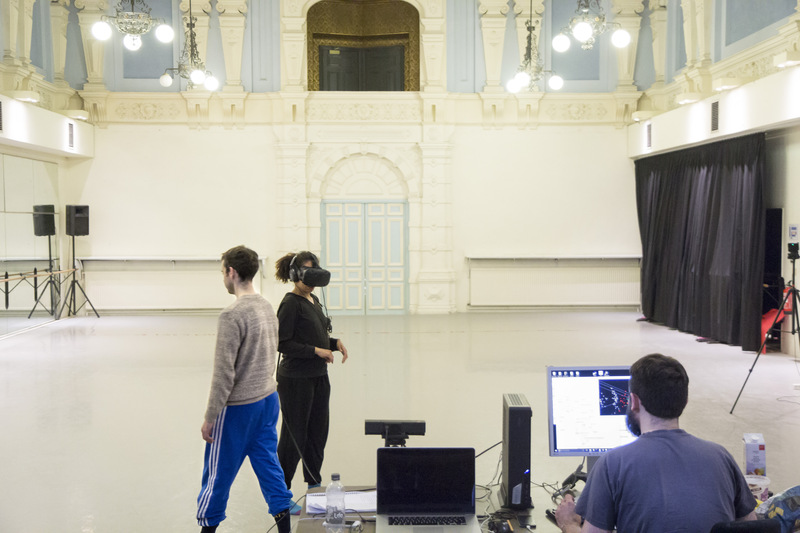 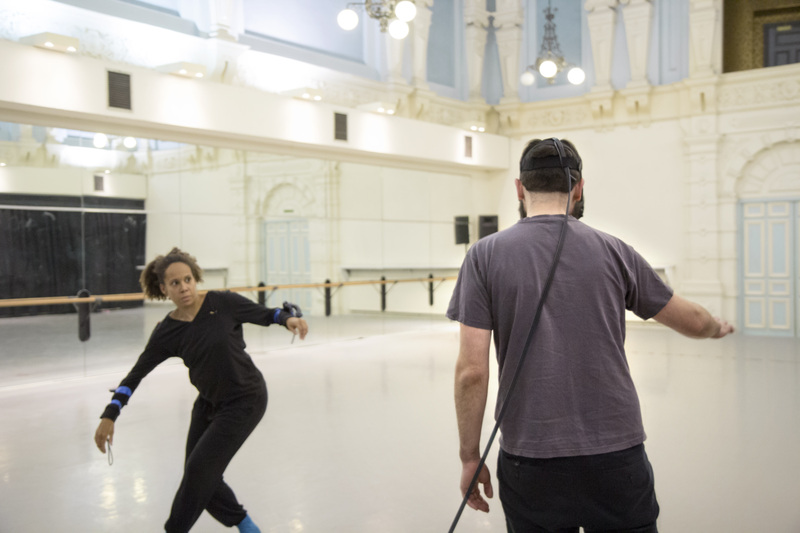 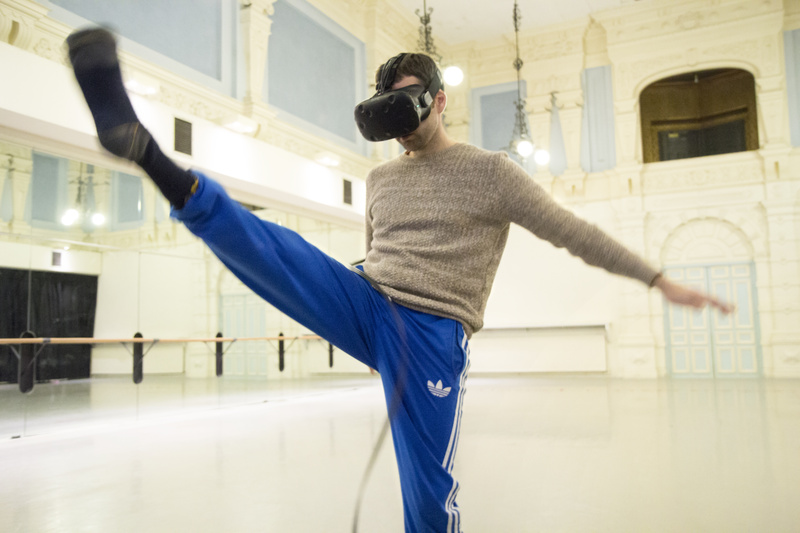 It is supported by the Brighton Digital Festival, the Lighthouse, Werks Central and Studio Wayne McGregor thought the FreeSpace programme. 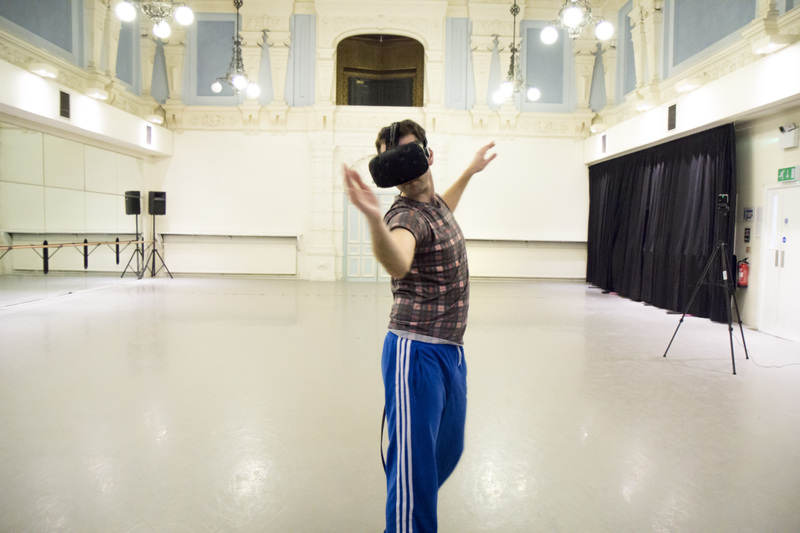 International presentation in London is supported using public funding by Slovak Arts Council.